The Antiquities Coalition commends the Egypt government’s leadership in the global fight against cultural racketeering – the systematic looting and trafficking of antiquities by criminal organizations or terrorist networks. Embassy in Washington, DC in 2011. 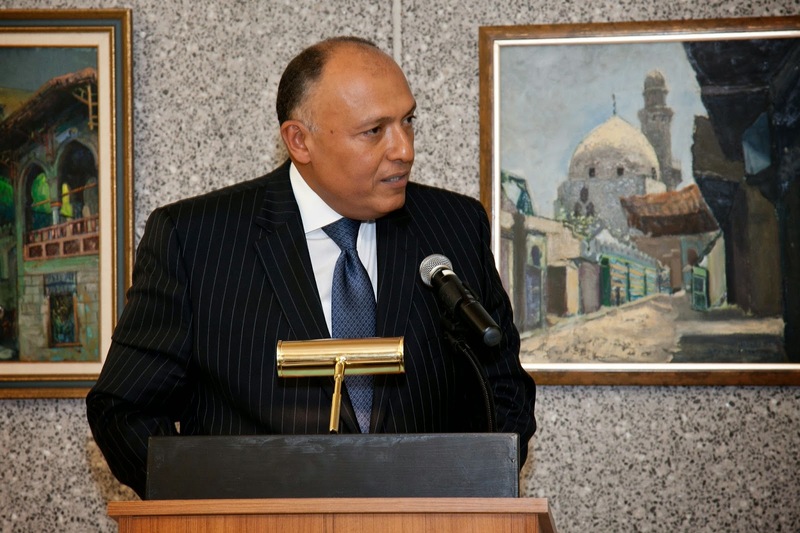 Egyptian Foreign Minister Sameh Shoukry was in Washington the week of February 15 to build support for Egypt’s efforts to combat extremists. In his discussions with the White House and the U.S. State Department, he stressed the importance of cutting off sources of funding to groups such as ISIL and al Qaeda, including from cultural racketeering. These terrorist organizations, as well as organized criminals, are benefiting from the sale of looted antiquities, including those from treasured archaeological sites in Egypt. Ministry, has mobilized their embassies in countries where demand is high for Middle Eastern antiquities. They are actively partnering with auction houses, internet companies and private collectors to stop the sale of looted antiquities. Egyptian artifacts have been seized as far afield as Belgium, Israel, Spain and the United States. Christies and eBay, for example, have taken steps to ensure they are not sources of illicit antiquities. In addition, Egypt is convening the countries of the Middle East to develop regional solutions to fight against these terrorist networks. The Egyptian Ministry of Foreign Affairs and the Ministry of Antiquities, supported by the Antiquities Coalition and the Middle East Institute, will host a Cairo Summit in May to explore ways to halt terrorist financing though antiquities looting. This Summit will bring together nine countries of the region suffering from cultural racketeering – Iraq, Syria, Saudi Arabia, UAE, Oman, Lebanon, Jordan, and Libya – to join forces in the fight. The Egyptian government is taking a proactive role in the fight against the cultural racketeers. Ministers Shoukry and el Damaty understand the complexity of the problem and are bringing the resources of two ministries to seek solutions. Bringing together the combined resources of their government in this fight is an important model that we hope all the invited countries will emulate – as well as cooperating government to government to develop regional solutions that will stop this multi-billion dollar industry from putting money into the pockets of organized criminals, armed insurgents, and terrorists.